The Wonderful Story of Britain: The Importance of Wool. 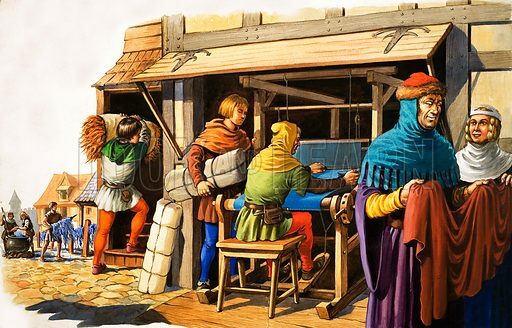 A weaver working at his loom as two apprentices help, one bringing wool, the other taking away a parcel of cloth. Original artwork from Treasure no. 54 (25 January 1964). Available worldwide for immediate download up to 5,000 x 3,200 pixels.